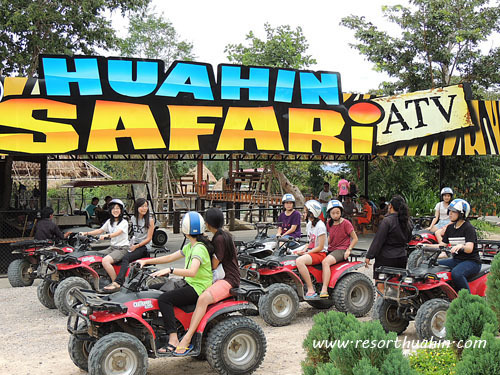 Take a walk on the wild side Hua Hin Safari & Adventure Park. is one of its kind in adventure travelling and nature treks. This gives a fun filled variety entertainment for you and your family. Apart from scenic views and landscapes is the adventure and thrill as well. 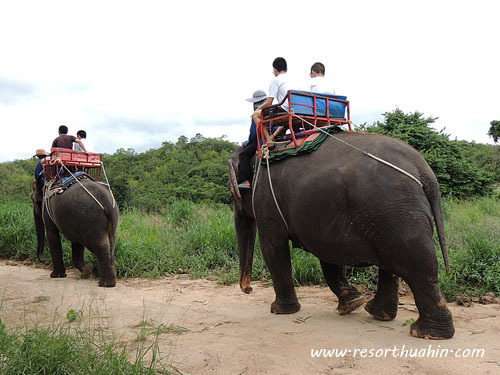 Hua Hin Safari & adventure park is a big home for Thai elephants. The atmosphere is surrounded by serene mountains, trees and pineapple fields. 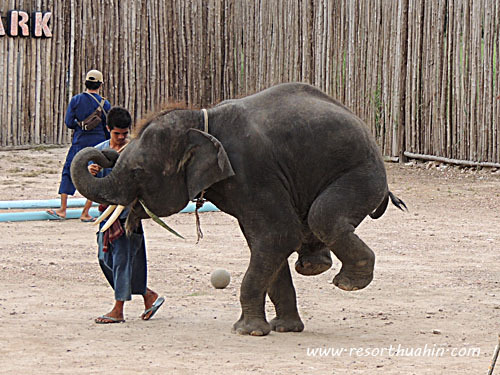 The elephants are being taken good care of and trained by experienced mahouts. 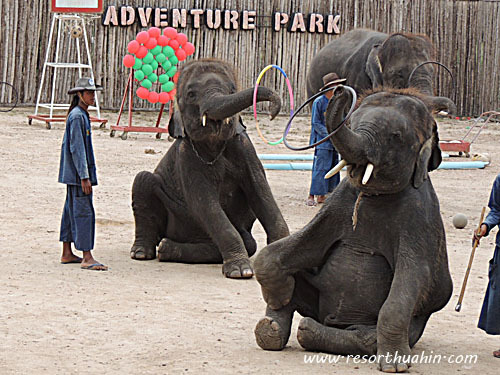 Ground shaking experience with Hua Hin Safari Show. 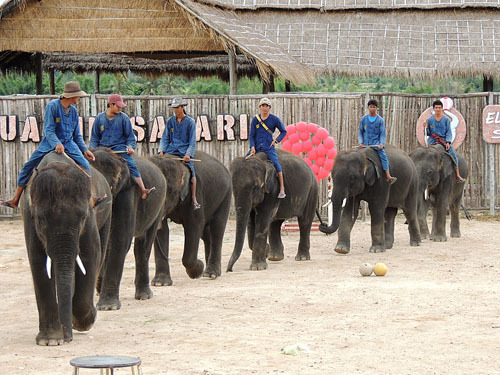 Watch elephants on training, play with the baby elephant and watch the elephants' dance. Play dart games, enjoy painting, ride a bicycle and more. 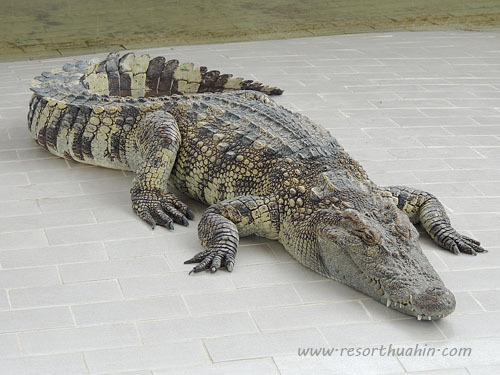 A great experience for children, families and tourists alike, a perfect place with natural surroundings. 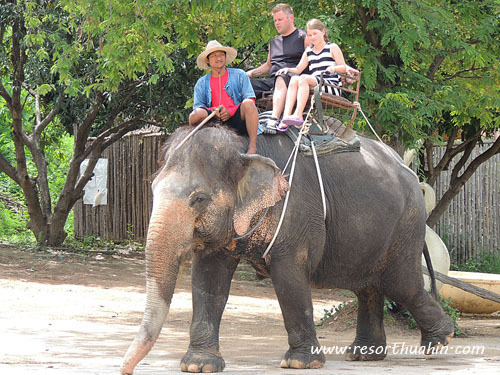 We also offer other exciting activities, like Elephant Trekking, Horse Back Riding and we even have ATVS for the child in all of us. The one only adventuer provider in Hua Hin. Fun filled all day long activities. 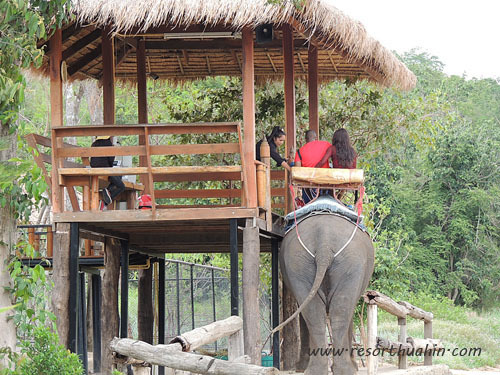 Add more excitement and fun to your trip and be a part of preserving Thai Elephants here at our Safari.